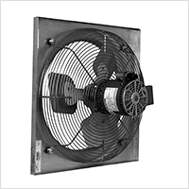 GED/GSD and eGED/eGSD | S&P Canada Ventilation Products, Inc. Exhaust air up to 3,500 CFM in high pressure applications up to 3/4" w.g. The eGED and eGSD come with S&P's Electronically Commutated Motor (eMotor), which offers the energy efficiency of a DC motors with the ease of maintenance of DD motors. The motors are 115V, 60 Hz in 1/3 HP & 1/2 HP and is 230V in 3/4 HP. This fully controllable motor offers both reliability and low maintenance in one of the most efficient motor fan combinations in the industry. When used in S&P's eGED/eGSD, the eMotor is the ideal solution for a low cost, fully controlled ventilation system. This motor in the eGED/eGSD can move air volumes up to 4,183 CFM. 10 16" 10-1/2" 1" 2" 11" 9"
12 16" 12-1/2" 1" 2" 14" 12"
14 20" 14-1/2" 1" 2" 14" 12"
16 20" 16-1/2" 1" 2" 14" 12"
18 24" 18-1/2" 1" 2" 15" 13"
20 24" 20-1/2" 1" 2" 15" 13"